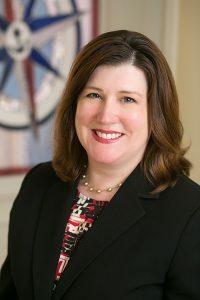 Karen has been in the financial services industry for 8 years and currently serves in several roles within the firm including Financial Advisor and Chief Compliance Officer. Prior to her joining the firm, she spent her early career working in software design & implementation. She then focused her efforts on wellness programming at Harvard University for over six years before joining Compass Rose. Throughout her career, Karen’s professional focus has always been on working closely with individuals and small groups to educate, to identify needs & goals, and to create solutions to achieve those goals. She loves the process and is happiest when she can work closely with Compass Rose clients to develop solid & effective plans to work toward their unique life goals. Karen lives in Greenland, NH with her husband Todd, their three daughters, and their adopted Labrador mix named Tabitha. She is the former Treasurer of the Greenland Parent Organization and remains an active & involved GPO member.